Association “Shamir” and Riga Ghetto and Latvian Holocaust museum requests the pleasure of your company at memorial event “Steps for Life” on Holocaust Memorial Day in Riga. 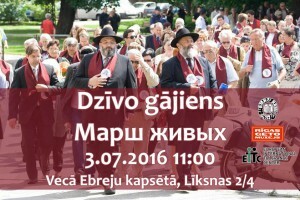 The event starts on July 03, 2016 at 11:00 at the corner of Lomonosov and Ebreju streets. 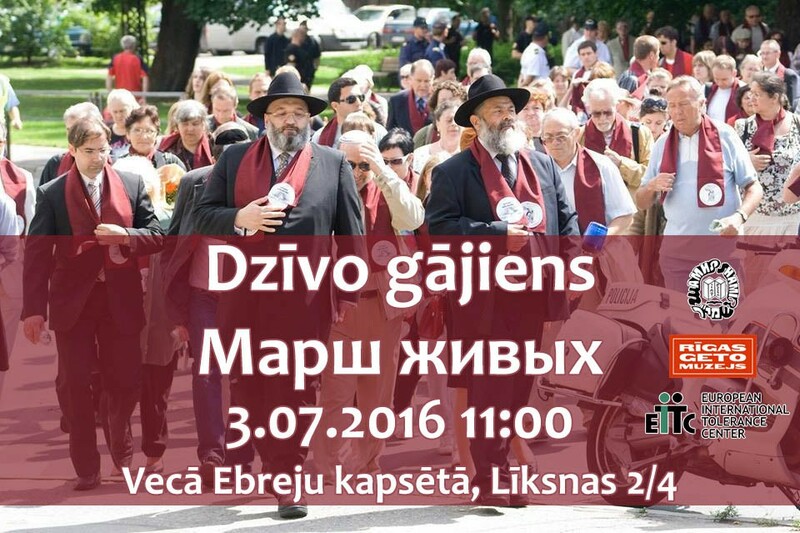 Members of the event will walk through former Riga Ghetto area to Big Horal Synagogue memorial (Gogola street). Let’s save the memory together!